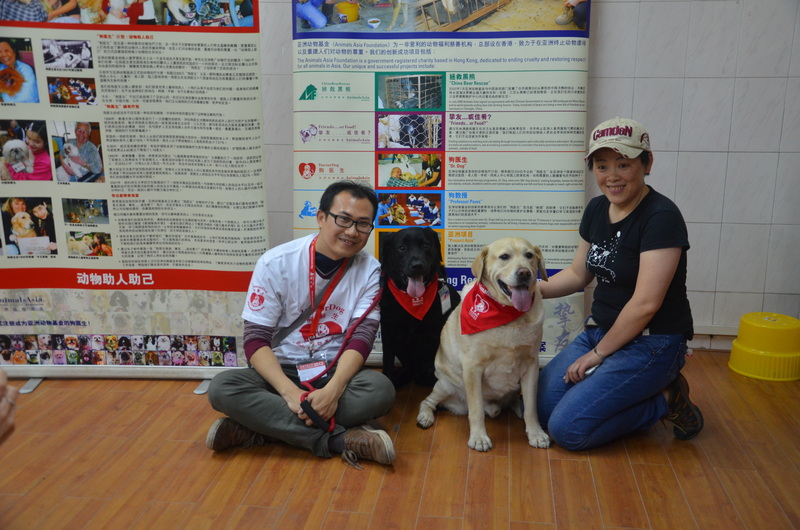 The 10th recruitment exam for Animals Asia's Guangzhou Dr Dog programme turned out to be a record breaking year as 12 dogs became eligible therapy dogs. 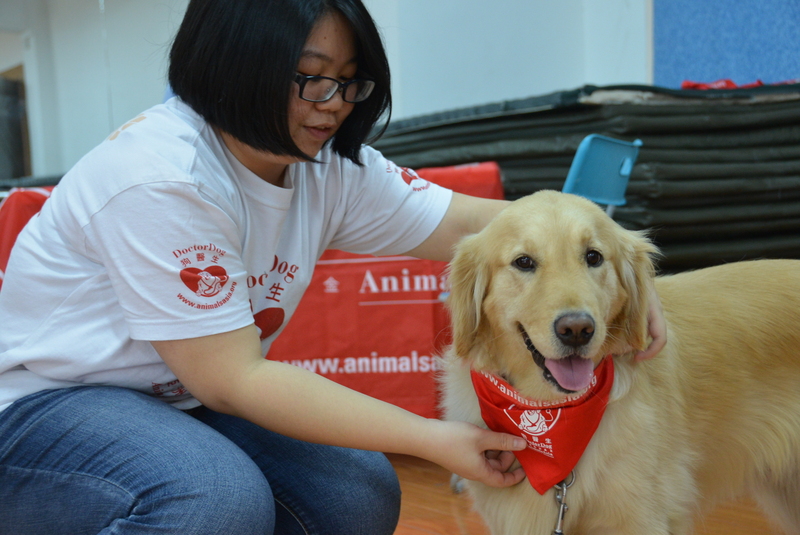 As registered therapy dogs, the new graduates and their volunteer guardians will visit hospitals, homes for the elderly, disabled centres, orphanages and schools in Guangzhou. To make the grade, candidates had to pass a thorough vetting process. First, their interactions with guardians, strangers and other dogs was evaluated and their temperament assessed. Hopeful canines also underwent a basic health check of eyes, ears, teeth and skin before undergoing a handling test to ensure they will be comfortable when handled by those unfamiliar with dogs. Lastly, their reaction to loud noises and large groups of people was monitored before passing a final obedience exam to ensure that graduates respond to guardian commands. Animals Asia’s animal assisted therapy programme has been running since 1991 with over 1,000 canine consultants having qualified as official Animals Asia animal therapy dogs.